The first ever mall built at Chandigarh was in the year November 2003, which was Fun Republic. That was a major opening of malls in Chandigarh. 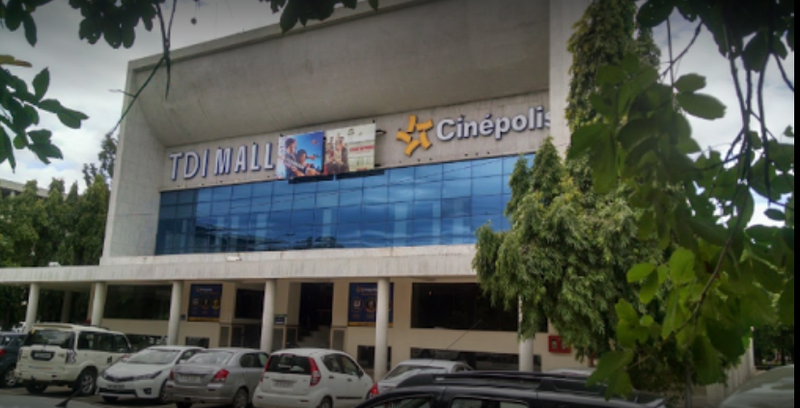 With the development and rapid growth in the city beautiful Chandigarh, there have been several numbers of malls setup now which are huge in number. There is the massive demand of malls in Chandigarh nowadays, as people have turned it as their common necessity. Every other stuff or thing one requires, other than shopping can be bought here. The most fluent market nowadays is the Chandigarh malls. The biggest and largely in demand mall is the Elate mall which is a category with the nexus group of malls. The nexus group of malls is the greatest retail profile organization of the world’s highly standardized investment company that is the Blackstone group. The mall has square feet area of one and a half million. Considered one of the coolest and quirkiest hub of the city beautiful, is abiding to the business area. Be it the facility of entertainment, shopping of different things, various restaurants, food hubs, discotheques, sports zone, bowling alley, toy store and so much more inside. The mall also has an employment rate inside the mall of around 98%, which is a major comeback to employment opportunities. Elante is divided into three parts, which involves the shopping mall in Chandigarh, a complex for the office and the Hyatt regency hotel. The address of the mall is plot number 178 in the industrial area phase 1 in the MW Area of Chandigarh. Contact the mall authorities’ or staff at 0172 500 5000. The DLF Citi Center mall is a premium outlet mall, which is not much big or large like the elante mall, but it owns the basic amenities of a regional mall. Be it the cinema house, shopping hub, entertainment, discotheque, or food bars. The place has everything to offer but in a limited process as it does not have much development. The mall is best for the people working in the IT Park, as they can any time come there for relaxing and hanging out as it is just beside it. The address of the mall is plot number 22-23 in the IT Park at phase one of Chandigarh. Get in touch with the authorities at 080544 00444. The first and foremost mall that is just in the middle of the city beautiful that is in the heart of Chandigarh. The construction of the mall is extremely innovated and magnificent. Mostly famous for its cinema hall which is quite big with an amazing theatre hall. The seating and other services provided inside the cinema hall are benevolent. The most popular food that is enjoyed at the mall is at the KFC, and Chinese food restaurant, which is in, the ground floor of the shopping mall in Chandigarh city. It is in sector 34-A, beside the government office of BSNL services. Get in touch with the authorities at 0172 260 2000. The Chandigarh Citi Center is not much of a famous mall in Chandigarh, but definitely an open site which is of around ten acres on the VIP road of Zirakpur. The main blocks site of the blocks sits over the wall over for the customers, which invites more and more number of customers at the gorgeous trip to the shopping buzz mall. The mall is a combination of retail, commercial and residential purposes summed up together. It is a place where the heart is completely satisfied and the mind is completely at peace with the services provided by the mall. The address of the mall is VIP Road, near metro cash and carry, Zirakpur in Chandigarh. Contact the authorities at 074003 74003. The mall is newly opened in the shopping and official hub sector of Chandigarh. The Taneja Developers and Infrastructure, who are still working on its construction, established it. Many people are not even aware about the opening of the TDI mall as no promotions of mall has been taken place until now. The mall only has a cinema hall inside, and not any other food joints, shopping spree hubs around or inside the mall. It is only a cinema hall mall. The address of the mall is in the sector 17. There is no official website for the mall, which is developed yet. The mall was in demand earlier before the elante mall came into existence, and since then the mall has not been able to get its recognition. Centra mall was also the first mall to have the PVR Cinemas inside. The shops, markets here at Centra were soon closed due to its falling demand. There is just one discotheque inside and the cinema hall. The address of the mall is in industrial area, phase 1 of Chandigarh. The city emporium mall is also like the Centra mall, which has not been able to way up recognition, no much-branded companies have set up their markets or shops in here. There is only the wave cinema at the top floor of the mall for watching movies; there is also a food court in the first floor of the mall, which is pretty good. The address of the mall is in the industrial area at phase-1 itself. The paras downtown square is just ten kilometers from Chandigarh which is meant a mall of Chandigarh indeed. It has big bazaar in the basement, the mall at the top floor alluring customers. The mall does not own a food court, but is home to some of the highly recognized restaurants like dominos, MCd etc. The place also has some big brands showing up at the mall. This mall is the latest opened shopping mall in Chandigarh, India which is just beside the Bestech business towers. It has an awesome quality of services in its cinema hall and many brand shops shave been started opening in the mall, as the mall has just been established. There are just five to six shops related to grocery and other stuff. Many people have been gathering up here nowadays for watching movies and for shopping too. The address of the mall is near the Bawa white house in sector 66 at south Chandigarh.